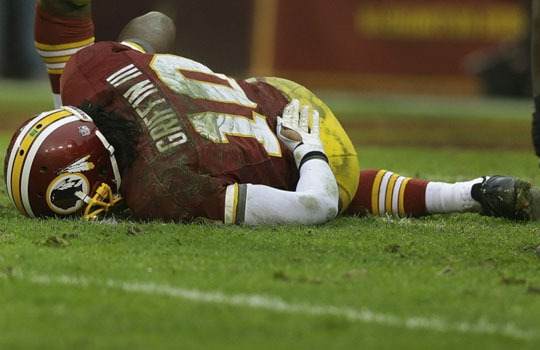 RGIII has been sidelined with injuries for the past 2+ years that have limited his time on the field. With backup quarterback Kirk Cousins seemingly out of the way, RGIII was subsequently benched for 3rd string quarterback Colt McCoy. 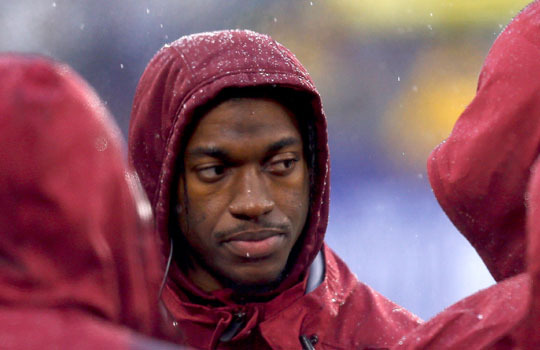 Although he currently lacks confidence on the field, ironically RGIII is pretty full of himself off of the field. 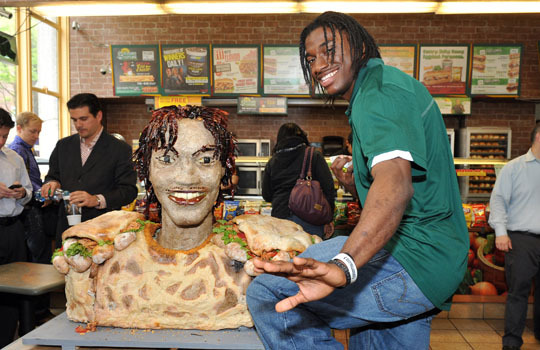 You can find RGIII doing Heisman poses in every other Subway commercial that runs at least twice within each hour.